Surrender at 20: Red Post Collection: Champion Insights on Tahm Kench, the River King, Team Up Week Party IP Weekend is here, and more! 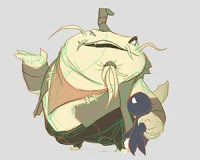 Tonight's red post collection includes a champion insights article on Tahm Kench, a heads up that the Team Up Week Party IP weekend is live through June 28th, a look at "Wharf Rats", and more! Team Up Week Party IP Weekend is here! 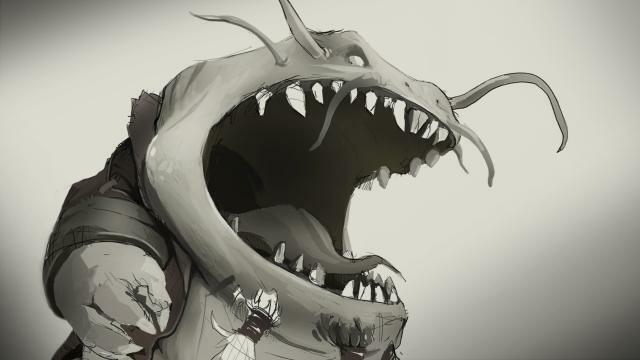 "We sat down with the champion ideation team to hear about the process that took an idea - Fish Tank - and turned it into Tahm Kench. 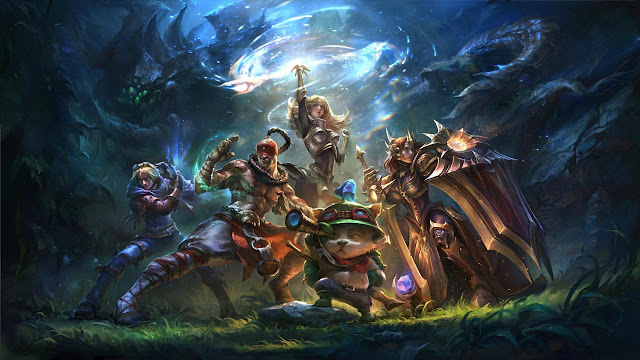 As a role, tanks have generally brought one of two things to their team: either they're in the Amumu/Sejuani camp of locking down an entire enemy team and setting up for a wombo combo, or they help their team lock down and eliminate a single high value enemy target either through chained CC (think Solar Flare into Zenith Blade into Shield of Daybreak on Leona) or by throwing/dragging the enemy into the tank's team (Singed, Volibear, Skarner). 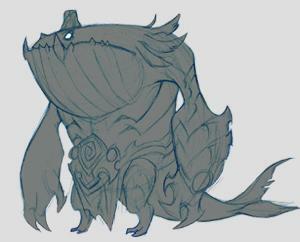 The challenge we wanted to tackle with Tahm Kench was to take a tank who did neither of these, and instead offered something completely different to his team. The art guys got scribbling, and soon started gravitating towards this Big Mouth character. This was a huge boost for us, with the visuals quickly inspiring a mechanic that was relevant to the champion’s visuals and new to League, too: Devour. Let’s start with devouring allies. We knew we wanted the ability to work on enemies, and we were initially pretty hesitant about allowing Tahm Kench to eat his pals. 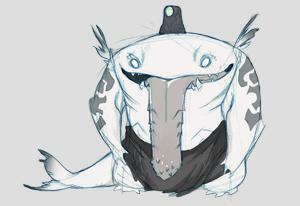 That said, once we tried it out, we realized that “Tahm Kench the Armoured Personnel Carrier” was actually pretty fun. Aside from the risk of trolling, allies will quickly realize how good it feels when a decent Tahm player has their back. He can eat you over a wall, spit you over a wall, and run fast toward the enemy if you're a Tryndamere type looking for a free ride to your soon-to-be victims. As the ally, you can also decide when and where Tahm spits you, after a short lockout period. What’s more, being able to pull an ally out of a fight at will is really strong. It can save allies from abilities like Nami bubbles or Vi ults, and generally allows squishies to do Really Dumb Things and get away with it. This should enable riskier plays, particularly from the kind of high damage/low health champs that usually have to pull away from a scrap, or at least fight from the back. Well yes, imaginary FAQ person, but let me tell you about a few things I added in to help balance things a little. First of all, as I mentioned, while Tahm Kench has this pretty swell devour ability, he lacks a lot of the traditional tools that tanks usually carry around. He can’t lock down enemies at will, for instance, and he has absolutely no utility AOE tools that your average punching bag brings to a fight. Secondly, while eating an ally to keep them safe is super clutch, the ability does come with some baked in drawbacks. Its relatively short range means Tahm, who most of the time will be on a support budget and thus not the tankiest man in the game, will have to stand close to your team, or at least close to members of his team who you want to kill. So uh… you can just kill him if you focus him. Lastly, if Tahm Kench does eat his ally, the ability’s minimum duration means you’ll still have a few precious seconds to leverage your temporary numbers advantage! As a raw mechanic - taking enemies out of a fight and severely reducing their vision for a few seconds - enemy Devour is incredibly powerful, which forced us to consider the circumstances through which it would be okay to use, even for a few seconds. 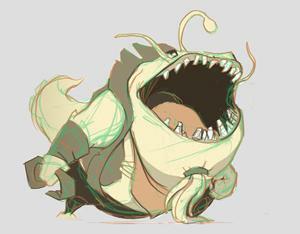 We knew that Tahm Kench couldn’t just go around eating enemy champs at will - that would be ridiculous - so we started figuring out ways to backload the ability, or establish x criteria that you need to meet before y can happen. For comparison, Malphite can ult into a teamfight at will because Unstoppable Force is a frontloaded ability - it has immediate impact and once it’s spent, he has to wait a long while before he can use it again. Because we had decided he would NOT bring the usual tank toolset of locking down an enemy, we couldn’t allow Tahm Kench the same flexibility, so ended up implementing passive stacks into his kit. So, while Tahm Kench can eat enemy champions and take them out of a fight for a few seconds, he has to hit them with a few basic attacks (or licks) first. This takes time and proximity, and telegraphs his intentions to the enemy team, giving them plenty of time to peel for the River King’s target. While the rest of his kit certainly adds to his uniqueness (grey health, an idea we borrowed from fighting games, is also new to League, while his ult is a really strong flanking tool that reinforces his Armored Personnel Carrier-ness), it was his Devour that really set Tahm Kench apart from the rest. Hopefully you’ll be able to make the most of the ability and wreak your own different brand of havoc with the verbose villain. The first few steps of our ideation process usually involve us setting a broad goal and then chucking around as many ideas as possible before we start whittling things down, centering our efforts around the ideas and hooks that really appeal to us. Knowing we were designing a tank, we started brainstorming literally anything, and a few weeks later, had five or six pretty solid concepts for League’s next tank. Then the culling began! Initially this sketch wasn’t necessarily tied to any particular champion, but as Zenon toyed around with vision denial mechanics, and we tinkered with Big Mouth as a fish character, the two ideas kinda slowly formed into one. Plenty of fish species have pretty cavernous mouths, and more importantly, the look tapped into a pretty well-known devourer archetype in games (think Kirby, Yoshi, or Pac-Man) which hadn’t yet appeared in League. Also, by creating a large-mouthed champion who literally ate other characters, we had super strong clarity between the character’s visuals and their gameplay... aaaand we could totally nickname the guy “Fish Tank”. It was perfect. Now that we had a basic look and theme for the champion, we started toying around with details. Initially we tried to incorporate some horror ideas into his appearance. We tried making Fish Tank a deep sea angler-type fish who’d attract his prey with a light, but it didn’t really have the combination of grim and whimsical we were looking for. We wanted to add depth by injecting personality and intelligence into the character. This outward charm would be something he used to mask his darker, true intent: devouring his prey! To complement this persona, we began to look at his clothing. Gem’s very first sketch of Fish Tank had him wearing a fez (which led to another nickname: Fez Tank), something we really liked just for its sheer panache. See, Fish Tank didn’t just have a big mouth - he was a big mouth, a devious storyteller who wore clothes to try and make him seem a little more human, and a little less threatening to potential prey. 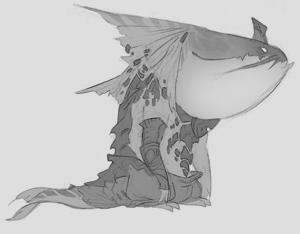 We tried giving him armor, but it didn’t feel right - Fish Tank was a smooth-talker, not a fighter, and he’d spin his stories to gain the trust of his audience. Then we switched to a coat, or coats, to be more precise. He was much too large to wear regular clothes, so stitched two coats together to appear more relatable. Aside from giving Fish Tank yet another nickname - Twocoats - it highlighted the balance between whimsical and grim that we really wanted to find. Whenever we create a new champion, the narrative writer starts by looking at the “opportunity space” we want to fill. In this case we knew we wanted a non-CC tank that would be visually tanky without hitting any of the thematics we’d seen depicted before. Our early ideation process involves researching myths and looking for jungian truths about the archetypes before we start writing lots of “story sketches” - short stories (typically 2 to 12 pages) that depict the champion’s character in Runeterra. These aren’t canonical pieces, but instead conceptual reference stories meant to illustrate the personality of the champ and show thematics that we could express in their gameplay and art. They’re written in tandem with work the concept artist and game designer carry out and, in the same way the concept art and early game kit inspires the team, the story sketch is intended to get ideas bouncing between everyone working on the champion. I began to play with the the idea that his maw could represent more than just a simple physical hunger - his huge mouth could represent any unnatural coveting or unhealthy desire. We went a long way in developing some other ideas before ole’ Tahm won our hearts and became our focus, but once we started on him we quickly realized he was going to be defined by his giant mouth. So my question became how to build a personality around that in an interesting way. I began to play with the the idea that his maw could represent more than just a simple physical hunger - his huge mouth could represent any unnatural coveting or unhealthy desire. Around this time, his hat became a very polarizing element: some people hated the thing, while others loved it. Either way, the common feeling was that it was unexpected - it challenged them. I suspected this disunity was a fertile ground which would define his character, so, sitting down to write what would be the last story sketch, I knew it was the topic I needed to tackle. Why did I think the hat was right? I felt the answer would be related to my strong desire to make Tahm’s hunger be for something more than just food. What’s the personality of a monster who wears a hat? Why does he wear one? Feeling my way through layers of irony, I began to see a creature that was whimsical, quite vain, very arrogant, and a bully. He was also, perhaps, a little insecure, but should ultimately still be terrifying. He mixed elements of crossroads devils, Japanese kappas, and leviathans. The best version of Tahm needed to balance the whimsy of his hat against a scary undercurrent (which the artist would later visually represent using his snaggle-toothed mouth). This combination would let us have a character who could occasionally be humorous without the risk of seeming derpy. After a lot of hard work, the team had a very clear idea of what he would look like, the core mechanic of the kit, and what his personality was. 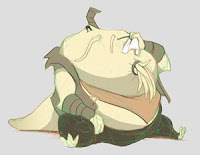 Tahm would be a loquacious, two-faced, charming slime ball and we loved him for it. We hope you’ll enjoy this unrepentant villain as much as we do." "Hey there! Actually this is the first long-form single piece of Insight content since Sion's update came out. Previously, we'd also snuck design insights at the bottom of the reveal, but this time we're trying something a little bit different. Let me know what you think!" The Party IP weekend the community earned during Team Up week is now LIVE through 11:59 PM PDT on June 28th! Through the weekend enjoy up to 300% bonus IP for queuing with friends. "For reaching level 5 during Team Up Week, you unlocked a Party IP Weekend--and now it’s here! You earn rewards win or lose, but only if you’re in a party with at least one other player. Sorry, Amumu. Rack up IP this weekend from 12:01 AM PDT on June 26 through 11:59 PM PDT June 28." "The "poros", which in this map are affectionately called Wharf Rats, are meant to be a little ugly. 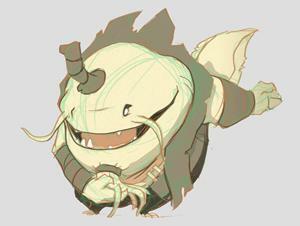 They're a little less steampunk, and a little more aquatic/amphibian. Thank you for the feedback though! I actually think they're pretty cute :3 but I have a weird concept of cute..."
"...Also thanks for the suggestion! I think a lot of the people on our team would agree, it would be awesome to have a special snack for the Wharf Rats. Rats probably don't want to eat biscuits :P"
If you are having trouble patching up to 5.12, check out this thread for troubleshooting and help.